You may belong to a very special tribe of creatives who seek to share their gifts and talents with the world in order to live their brilliance and to create a collective blaze of Evolutionary Human Splendor. WOW! The Brilliance Tribe is where we do this together, you and I employing our creativity to express our creative presence in the world. If this makes your soul burst with joy…. I invite you to join my Brilliance Tribe. Feel passionate about setting themselves free from the chains of invisibility, playing small or keeping their gifts in the proverbial locked drawer. Will not stop until they set free their unique, star-essence brilliance so they can illuminate the world with their sacred luminosity! Long to share their talents, gifts and life wisdom with the world because their soul longs to leave a loving legacy through their creations. Are committed to embody their purpose because their life has brought lessons that have become a lifestyle, a system, a body of knowledge or practice; and this has ultimately become their purpose. And they absolutely refuse to die with that purpose untouched inside. They want to lend their body and their life to bring this purpose into the world to make a difference. Need to discover, accept, own, name or cultivate their special talents because they are doing things that are different: they fuse different genres or fields. They bring knowledge from one discipline into another. They have their unique angle. They are quirky, eclectic, unorthodox or plain old eccentric. Whatever it is, it often confuses them so they believe they are nuts or can’t put their handle on what is it they do, so they need guidance, support and help with their creative genius. Want to sing their song, shine their light, dance their moves, write their books, teach their wisdom or do their thing to be the change they want in the world. If this is you, I invite you to join me so that we can free our radiance together to set a blaze of human evolutionary splendor! The first step is to download the free Living your Brilliance Manifesto to get fired up and heart-clear about your birthright and value as a creative in the 21st Century. This is your time! Find out why. 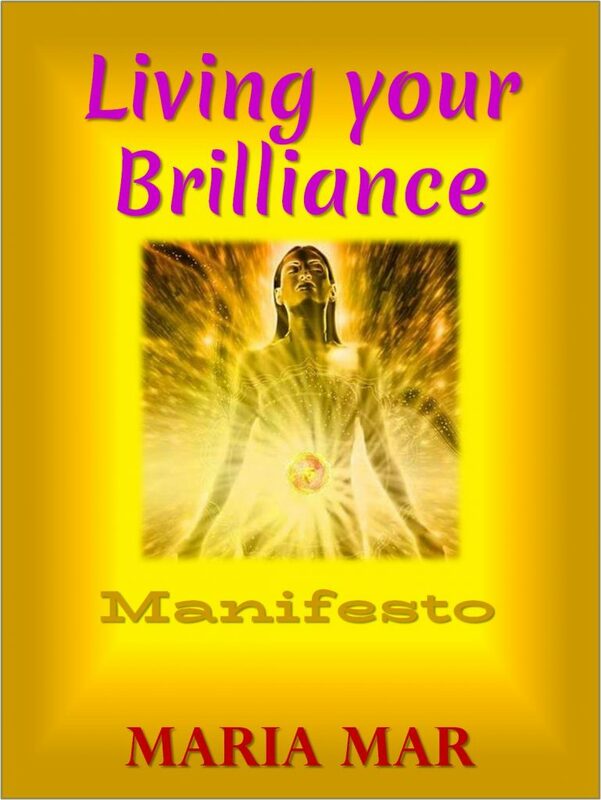 When you sign for the free manifesto, you automatically join the Brilliance Tribe. Every month you will receive my Brilliance Magazine, a monthly digest of my articles on brilliance, creativity, creative genius, women and visibility, creativity and leadership and related topics. You will receive VIP notices and discounts for my books on creativity and living your brilliance, as well as for my fiction books, which usually featured a creative female protagonist overcoming life’s challenges! You will enjoy inspirational greetings, send-outs and yummy stuff especially designed with love for my Brilliance Tribe! Join me in liberating our beautiful radiance to share our gifts, embody our purpose and live our brilliance now, while we are in this earth! And to belong to your Brilliance Tribe!